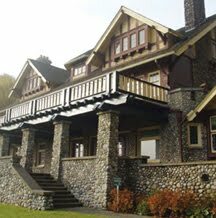 Get the Picture, Burnaby Art Gallery's art rental and sales program, is located at the Gallery at Ceperley House. Supporting both emerging and established artists, the program offers a diverse selection of works and provides an important connection between participating artists and the community. Get the Picture is open during regular gallery hours. Rental fees vary and are based on a percentage of the artwork's value. Billing can be either monthly or quarterly, with a minimum rental period of one month. There is no maximum rental period, and should you decide to buy an artwork that you have been renting, three months rent can be applied towards the purchase price. Hours: Monday to Friday, 10am-6pm; Saturday and Sunday, 10am to 5pm; closed on holidays. The Richmond Art Gallery Association’s Art Rental & Sales Program offers individuals and businesses an accessible way to easily enjoy art at home or in the office. 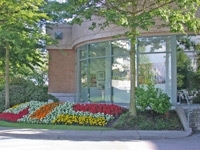 The collection includes original works of contemporary art by Canadian, B.C. and a wide selection of Richmond Artists. Visit Art Access in the Richmond Art Gallery, choose a piece of art, and rent it for a three month period. Enjoy your piece and then decide whether you’d like to exchange it, re-rent it, or purchase it. If you find that you cannot part with your art, and want to purchase the piece, the first three months of rental fees will be put towards your purchase. The rental fee is a deductible business expense. Intaglio and Monotype Variable Edition, 24" x 18"
Drypoint Print, 13" x 10.5"
Watercolour and Oil Monotype, 14.5" x 11.5"
Carborundum Print, 10" x 18"